SAN NARCISO, Calif. (Bennington Vale Evening Transcript) -- Early Monday morning, a video emerged showing a passenger being violently ejected from a United Airlines flight headed for Louisville from Chicago. The 69-year-old doctor was forcibly dragged from the overbooked plane when he refused to “voluntarily” give up his seat to accommodate United employees who had arrived late. The extremity of the incident, captured in graphic images, has sparked a Congressional investigation into the air carrier’s compliance with oversales rules. To make matters worse, United’s PR department and CEO released vague and baffling explanations of the passenger’s bloody expulsion, defending the police and ground crew for their hyperbolic handling of the situation. Late Monday evening, facing criticism for its tone-deaf messaging, United provided another clarification, stating that the passenger could have diffused the fraught standoff by offering authorities a Pepsi. As the Los Angeles Times reported, no passengers aboard flight 3411 accepted the airline’s offer to voluntarily vacate their seats in exchange for compensation of $800 plus overnight accommodations and an alternative flight the next day. When the deal was refused, the staff picked random passengers. United’s initial response to the incident generated more shame and public outrage than understanding. After our team looked for volunteers, one customer refused to leave the aircraft voluntarily and law enforcement was asked to come to the gate. We apologize for the overbook situation. Further details on the removed customer should be directed to authorities. Candace Fluglieber, a senior public relations specialist with the United Airlines corporate office in San Narciso County, spoke to the Evening Transcript late Monday evening to clear up the confusion. BVET: Thank you for taking the time to speak with us. We’ve heard a lot of conflicting testimony about the cause of the hostilities. What was the catalyst, or primary problem, according to United? FLUGLIEBER: In my opinion, the main problem involved a failure to follow instructions. Air carriers are heavily regulated, and passengers remain subject to many rules. Like turning off cell phones with cameras. That could be the most severe violation here -- that so many other customers were recording and broadcasting video of the conflict. This is exactly why we order people to turn off their electronic devices when they board. If they had acted in accordance with the policy, I doubt this story would have made the news. BVET: Social media users attacked your CEO this afternoon and accused him issuing a tone-deaf response that fell short of an actual apology. Can you elaborate on what Mr. Munoz was attempting to say? FLUGLIEBER: First, there was nothing tone-deaf about our messaging. That would be like saying Pepsi’s powerful commercial about those WhateverLivesMatter demonstrations was tone-deaf. Oscar Munoz said precisely what needed to be said. Yes, the incident upset everyone at United. It was upsetting that the passenger refused to leave voluntarily. It was upsetting to waste police resources on this. Those cops had to beat up this rude guy, pry him from his seat and throw his broken body off our flight. It’s Chicago, those officers should have been shooting unarmed black thugs. It’s upsetting that this doctor’s obstinance led to a two-hour delay in the flight. That’s overtime United has to pay its employees. We also had to pay $800 plus hotel fees for the “volunteers” who were forcibly ejected without police violence. Those costs add up fast, and we have to pass them on to our customers. All because this a**hole believed his job was more important than everybody else’s. BVET: You mentioned the Pepsi ad, which also came under fire for being tone-deaf. FLUGLIEBER: That’s insane. I watched the commercial several times. It was inspirational. I mean, if all those protesters at Kent State in 1970 had offered the National Guardsmen soda instead of flowers, they may be alive today. If Trayvon Martin had been carrying Pepsi instead of iced tea, George Zimmerman may never have pulled the trigger. Pepsi has the power to end racism, discrimination, violence and to diffuse tense standoffs. BVET: By that logic, Pepsi could have helped your passenger? FLUGLIEBER: Of course. 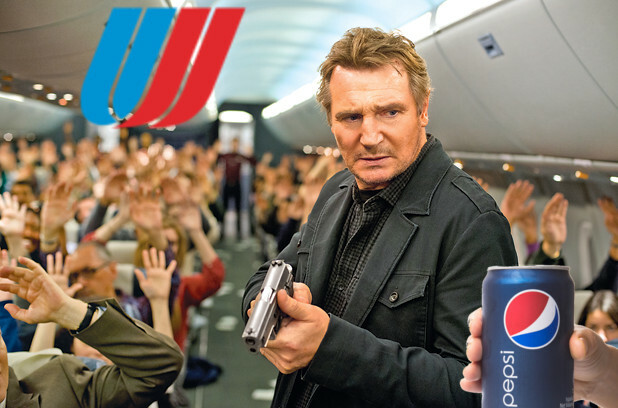 If he had purchased a $15 mini can of Pepsi and handed it to the police, I’m certain the officers would have stopped bludgeoning him, laughed off the confrontation and left the plane to the cheers of every passenger in the cabin.